It's a doubleheader Sunday on CBS Sports as we hit the eighth week of the 2014 NFL season. Six games are on the slate. The early slate has Ravens-Bengals, Bills-Jets, Dolphins-Jaguars and Seahawks-Panthers. The late games are Colts-Steelers and Raiders-Browns. Continue reading for announcing assignments and distribution splits for the NFL on CBS this week. My AT&T provider has Colts vs. Steelers, and I have WBNS. Anyone have this game instead of the Browns game. This switcheroo business of FOX carrying a few AFC games, CBS a few NFC tilts is so strange, but the explanation has been given several times as to why and it being new this year. My question is, this week FOX is doing Texans-Titans, CBS has Seahawks-Panthers. Why? If it is one-for-one, why do it all in this circumstance? Also, don't get why the NFL continues to just broadcast one doubleheader on one network, especially in markets where some weeks you get no doubleheader on either network. 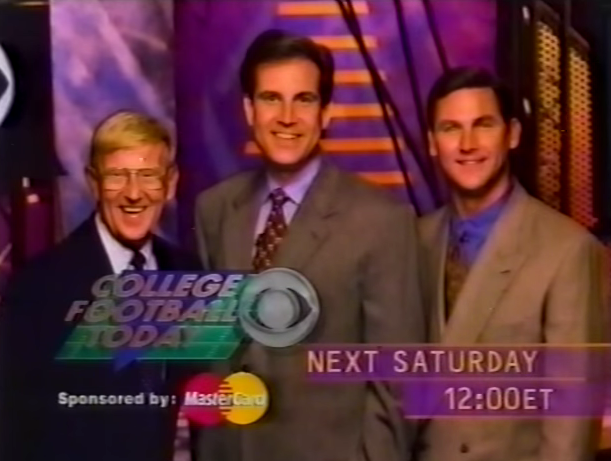 For example, Pats-Bears in the Boston market means no CBS game at 1pm. 2 games total all day- stupid blackout rules, but also let's start having doubleheaders on both networks each week... then the most attractive game of the day, Arizona vs Philly at 4:05 doesn't become a game shown to very little of the nation. I got the bills and jets game here in CT instead of seahawks crap. Thank god for regional games. ATT now has Browns instead of Steelers. Sometimes, gotta hate regional coverage.